St. Louis is home to a rich mix of cultures and culinary interests. From Italian and German fare to Bosnian and Vietnamese cuisine, there's something to satisfy every craving at the hundreds of one-of-a-kind restaurants dotting the city's culinary landscape. Explore the listings below to find the best restaurants and dining experiences St. Louis has to offer. Steaks, seafood and pasta. Live music seven nights. Jazz, blues and rhythm & blues. Our award winning steak house sets the standard for what you expect in fine dining. Enjoy prime dry-aged steak while sipping on one of more than 300 wines from around the world. Classic American pub serving a mix of burgers, steaks, pastas, pizzas and sandwiches with a twist. Beautiful bar with 16 craft beers on tap. Dine amid the stunning view from 400 ft. above downtown St. Louis atop the Hilton St. Louis at the Ballpark. Far from typical bar food, Chef Rex Hale's menu offers a clever blend of inventive takes on favorites like sliders and fish tacos, as well as a selection unique creations. Enjoy one of our 99 beer options while you dine on the juiciest of burgers, the cheesiest of mac and cheeses, or the tastiest of desserts. Each of our menu items can be paired with the perfect beer to make the party in your mouth as hoppin' as the one at the bar. Featuring a unique selection of fresh Italian cheeses, cured meats, raw and cooked vegetables, and specialty homemade pastas. A refreshing experience in a lovely bistro environment. Wine cellar on site serves Italian wine exclusively. Low and slow is the way to go. Slow smoked BBQ, from apple butter ribs to savory smoked salami, there's something here for every BBQ lover. Enjoy the best view in the Midwest. Savor a glass of one of our signature wines or dine at our full service restaurant. Live music on weekends. Experience St. Louis favorites: toasted ravioli, prosperity sandwich and Gooey Butter Cake. Casual and private dining available. Happy hour specials Mon.-Fri., 4-6:30 p.m.
Gourmet Italian and Greek specialties with a family atmosphere. Extensive menu of fresh fish, lamb, beef and chicken. Fresh, homemade pasta and ravioli, plus unique hand-tossed pizza. Full bar. Special event venue available. Featured on the Food Network show Diners, Drive-Ins and Dives. Italian courtyard behind Scape American Bistro. Destination for outdoor dining and entertainment. Craft beer and cocktail menus complement an appetizer menu via Scape's kitchen. Live music and DJs throughout the week. Cozy and romantic nighttime spot with 40 martinis, light fare and award-winning desserts and drinks. Secluded, covered and heated patio. Open late seven nights a week. Burgers and shakes with a focus on Missouri. We make our own ice cream, buns and more. All of our beef is 100% grass-fed and Missouri-raised. Thirty local beers on tap. Late night dining. Sleek basement gastro pub with an Italian accent and a playful attitude. Descend down the winding staircase and discover a restaurant abuzz with activity. Award-winning nightclub/restaurant specializing in St. Louis-style cuisine and drafts with local and national jazz and blues acts. Open daily. Winner of the Diners' Choice award, The Beerhouse, is where old-world charm melds with classic American bar. With more than 100 types of microbrews from around the world, 32 beers on tap, The Beerhouse is sure to become your favorite watering hole. A celebration of beer and food featuring a full menu and an exceptional variety of our beers including 18 on draught in signature glassware. First-floor pub featuring lunch and dinner. Second floor lounge, outdoor beer garden and free parking. No cover charge. DJ music Tue.-Sat. Serving up lunch and dinner specials daily. Offering a great menu with signature sandwiches and burgers, plus a wide variety of wings, nachos, appetizers and great under $10 entrees. Patio seating throughout the year. Big Daddy's on the Landing --"The best bar in the whole wide world." Locally sourced, naturally raised. Revitalized American favorites since 1992. Audience participatory comedy/murder mystery theatre in St. Louis' oldest home, served with a four-course dinner and wine every Fri., Sat. and Sun. Private matinee or evening shows available during the week or weekends, or we can bring our show to you. Five minutes from downtown St. Louis. Reservations required. A fresh take on lunch. "Dining with Local Influence" means artfully crafted regional ingredients and seasonal lunch menus presented with historic displays and a grand view of Forest Park. Located on the second floor of the Missouri History Museum. Open Mon.-Sat. for lunch and every Sun. for brunch. A cozy community gathering place that provides delightful dining, craft beers and cocktails. Upscale, yet casual and cozy. European-style cafe with American Fare. Quick service breakfast and lunch during the week. Relax by the fireplace or sip wine with dinner on the patio. Award-winning restaurant and bakery. Good old-fashioned home-style cooking offering hearty breakfasts, country-style lunches, children's menu and fabulous desserts. Outdoor dining on beautiful veranda. Reservations recommended for five or more. Major credit cards accepted. Featured on The Food Network. Closed Mon. B, L.
A barista-owned, specialty coffee roaster and cafe serving espresso drinks, pour-over drip coffee and light seasonal fare. On-site roasting on a vintage gothot. An iconic neighborhood deli cranking out deliciously savory po' boys for the whole family. Live Blues on most Thur. and Sat. with a crowd of regulars spilling out the door and into the streets. Melo's Pizza with a patio out back. Made-to-order with all-natural ingredients in our wood-burning oven in our converted turn of the century garage. Neopolitain-style pizza with a streamlined menu bringing you Blues City Deli standards with a twist. Open evenings Tues. through Sat. St. Louis' newest sports bar and lounge from legendary Blues hockey player, Bobby Plager. Great daily specials; select half-price appetizers, 4-8 p.m. Quality bar food. Thirteen 60" TVs. Patio seating. Two different buildings; two different atmospheres. Kitchen open: 11 a.m.-10 p.m. Daily, 11 a.m.-3 a.m.
Born out of love for barbecue and the desire to raise it to a higher level, we invite you to enjoy our spin on America's favorite food. The best of Kansas City-style barbeque in downtown St. Louis. Just minutes from nearly any location downtown. Burnt ends, pulled pork, ribs and smoked wings all slow-smoked over Missouri hickory. Features 18 media-rich, high definition TVs, more than 50 beers and a beer-centric food menu, as well as a private owner's box with a Wii and karaoke. Fifty-five craft beers on tap and another 250 in bottle. Extensive wine list and sophisticated new American entrees and sharing plates. Great for groups or a romantic date for two. Late night dining. The Budweiser Brew House is a three-level, 26,000-square-foot venue that offers an unparalleled beer and dining experience for baseball fans and visitors in St. Louis. The destination includes an outdoor beer garden, an interior inspired by Anheuser-Busch and Budweiser's rich heritage and commitment to quality, and a rooftop deck that puts St. Louis Cardinals fans within reach of baseball heaven. Recently award "Best Burger Joint", Our fresh Angus beef burger is cooked to order and stacked high. Pair your burger with crisp cut fries or one of many beers on tap. Over 725,000 burgers sold! Made-to-order breakfast and lunch. Breakfast burritos, pancakes, fresh muffins, breakfast sandwiches. Spicy chicken wrappers, best gyro in town. Entree and sandwich specials daily. Offering a French-inspired menu featuring an omelet station, cold salads, soup du jour, warm entrees and a tempting dessert display. Scratch-made beignets, locally roasted coffee, sandwiches, salads, soups and pastries crafted from the freshest ingredients available. Great venue, great menu! Welcome to the clubhouse for Cardinals fans and foodies. The sports-inspired menu and high-energy atmosphere is customized for baseball fans near and far. From local favorites to innovative creations, the dining experience is guaranteed to satisfy any major league appetite. Enjoy world-championship service and catch all the action on more than 50 flat-screen TVs. 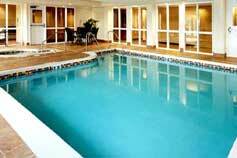 Offering several restaurant options ranging from fine dining to casino fare to an all-you-can-eat buffet. Offering a unique dining experience satisfying many tastes with an array of options from sushi to pizza. Twenty local and imported drafts on tap. Happy Hour: Mon.-Fri., 3-6 p.m.
Fine, traditional noodle, vegetarian or combo dishes. Best food in town for 10-plus years. Voted Best, Favorite Chinese Restaurant 10 times. Bringing new cachet to the downtown riverscape, Cielo offers indoor and outdoor al fresco dining featuring fine contemporary Italian fare, highlighted by exceptional Italian wines. The food is consistently good, with breakfast served all day. Wide-ranging menu with comfort food made from scratch. Warm and personal service. Open daily; 24 hours on weekends. Classic pub with a full bar. fresh, hand-cut, pub fare, all food made in-house. Located new Tower Grove Park with a spacious patio. Full-service restaurant and bar with eclectic menu. 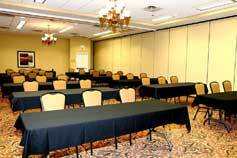 Semi-private and private banquet rooms for meetings and parties. Sunday brunch. Fine wines at retail prices with exceptional American Cuisine. Wine garden, private cellars, wine list. Valet parking available. Fresh, healthy food in a fast casual setting. Serving rice bowls, wrappers, salads and soups. Modern French Creperie and Cafe serving contemporary American and French cuisine. Fresh pastries daily and specialty coffee drinks brewed with local roaster Kaldi's. Patio seating and brunch on Sat. and Sun. Contemporary American food with French and Italian influences in elegant, sophisticated atmosphere. Perfect for business dinners or special occasions. 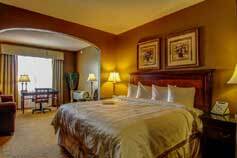 Convenient to downtown St. Louis, West Port and Lambert-St. Louis International Airport. Innovative, yet accessible, comfort food in an eclectic atmosphere, located in one of the region's hottest neighborhoods. Featuring St. Louis' best award-winning desserts, plus a full bistro menu of great salads, sandwiches and entrees. Romantic interior with a quiet neighborhood patio. Full bar with unique craft cocktails. Open late on weekends. Private room. Caribbean cuisine as exciting and vibrant as the islands themselves. Full of luscious fruits, vegetables and deliciously spicy flavors. Sitting atop the beautiful Citygarden, a unique restaurant that makes everything in-house and from scratch. Nano micro brewery on-site. Lunch/Brunch daily. Authentic made-from-scratch Mexican fare, street tacos and fajitas, incredibly fresh margaritas, amazing cocktails and fun. Add sizzle to your day or night. Choose from traditional breakfast dishes to local favorites like chicken and waffles, diner sandwiches or entree dinners. Open 24/7. Serving delicious soul food since 1962. Specialties: glazed chicken, oxtails, catfish, beef ribs, peach cobbler, greens, yams, and dumplings. Hand-stretched dough, mixed with your creativity, results in your pizza freedom. Serving hand-crafted pizzas, fresh salads and chilled brews. Voted 'Best Sushi' in St. Louis, Drunken Fish is the Midwest's unrivaled leader in sushi and Japanese cuisine. Enjoy the large patio or watch your favorite sporting event on one of the 13 flat screen TVs. Happy hour: Mon.-Fri., 11 a.m.-noon, 4 p.m.-6 p.m. and daily 10 p.m.-close. Sun.-Mon., 11 a.m.-10 p.m.; Tue.-Thur., 11 a.m.-11 p.m.; Fri.-Sat., 11 a.m.-1 a.m. The Midwest's unrivaled leader in sushi and Japanese cuisine. Enjoy a two level dining experience or sit outside on the large outdoor patio. Happy Hour: 11 a.m.-noon, 4 p.m.-6 p.m. and 10 p.m.-close. Karaoke Night every Mon. night at 9 p.m. The Midwest's unrivaled leader in sushi and Japanese cuisine. Happy Hour: Mon.-Fri., 11 a.m.-noon, and 4 p.m.-6 p.m., 10 p.m.-close Wed.-Sat. Karaoke Night every Thur. night at 9 p.m. with great drink special. Validated garage parking for up to two hours. Casual contemporary American dining plus stunning Rooftop Terrace Bar under the world's largest man-made moon. Open 7 days a week. Locally sourced ingredients, seasonal menus. Located in renovated, historic building: outdoor terrace with beautiful views. Sunday brunch. Live music on Friday and Saturday nights. Serving St.Louis since 1981. Pizza, subs and appetizers. Made with fresh dough and ingredients. Hot, fast delivery to downtown hotels. Open late, Fri.-Sat. 'til 2 a.m.
A fine dining experience with an incredible cast of the finest steaks and chops, sumptuous seafood, decadent deserts and so much more. America's original soda microbrewery located right next to Chuck Berry Plaza. Watch the bottling of St. Louis' nationally acclaimed signature soda, Fitz's Root Beer, on vintage bottling equipment located right inside the restaurant. Besides draft root beer, Fitz's is a local favorite for burgers, house-smoked barbecue, craft beers and famous floats. Families and large parties welcome. Daily L,D. Downtown's bowling mecca. Bowling with good food and drinks. Have fun. Book your party now in the Palm Room. Signature cocktails, house-made pizza, Cuban sandwiches, wraps, veggie paninis and more. Open 7 days. Mon.-Thur., 3 p.m.-3 a.m.; Fri.-Sun., noon-3 a.m. Renowned for its vast beer selection: 80 on tap and more than 150 bottles, as well as a vast food menu featuring burgers, bratwurst, soups, salads and cheese plates. 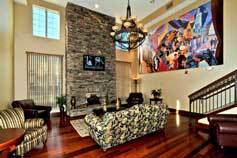 Located across the street from Busch Stadium and features a large outdoor patio and two private party rooms inside. A "green" café offering the best of local farms proudly featuring Goshen coffee, organic juices, and smoothies. Emphasis on world-class whiskeys. Contemporary steakhouse serves hand-cut steaks and delicious cocktails amid the bustle of the wonderful Central West End. Italian cuisine. Fresh veal, steaks, pasta, seafood and appetizers. Beautiful view of the Gateway Arch. Patio and full bar. Private rooms available. Friendly, attentive service, a warm atmosphere and classic Italian food were hallmarks of Giovanni's on opening night. Today, 40 years later, they still set Giovanni's apart, along with an owner whose exuberant personality and enthusiasm for the business has never waned. Giovanni's has had the honor of serving Presidents Reagan and Clinton at their inaugurations, as well as such celebrities as Oprah Winfrey, Paul McCartney, Frank Sinatra and Pavarotti in the restaurant. "Bread the way it ought to be!" Great Harvest is a locally owned, fresh-scratch bakery. Freshly milled whole wheat flour makes all the difference. Located on The Hill offering Italian and authentic Spanish fare at a reasonable price. Try the popular paella, sangria, tapas and St. Louis' best thin-crust pizza. Twisting since 1920. Watch us hand twist soft, salty pretzels. Try our tasty bratwurst, salsiccias and hot dogs wrapped in pretzel dough. Down the street from Anheuser-Busch brewery. Our Spicy Fried Chicken voted #1 in U.S. Fried pickles and tomatoes; homemade pies and more. Beer and wine. Casual family dining, inside or out. A blues cafe' and bar in Historic Soulard. Shuttle to sporting events, Fairmount Park, wineries. Live music seven nights and three afternoons. Beautiful patio open year round. Authentic American cuisine including sandwiches, burgers, BBQ and steaks. Don't forget the signature Hard Rock drinks and cocktails. Ask about validated parking. Dual-branded Hardee's/Red Burrito featuring Hardee's signature "Made from Scratch" biscuits at breakfast; lunch/dinner menu features 1/3-, 1/2-, and 2/3-pound 100% Angus beef Thickburgers. The Original Red Burrito offers a sit-down Mexican restaurant experience with the convenience and value of fast food. Featuring big, fresh burritos and other authentic Mexican-style favorites. Enjoy casual American cuisine while taking in the award-winning view of the city skyline. Live music on patio (weekends) creates the perfect atmosphere for a first date, group happy hour or dinner with friends. Mouth watering slow-smoked BBQ, southern style comfort food, specialty cocktails, a handpicked selection of whiskeys, moonshine and bourbon. Hot wings, cold beer, served by the world famous Hooters Girls. Hooters makes you happy. American brunch/lunch/dinner. Small plate Bistro. Premium classic cocktails. Live acoustic music. The finest quality nitro ice creams, made-to-order before your eyes with liquid nitrogen. Also offer boozy nitro ice creams and vegan options. The original St. Louis-style thin-crust pizza with tangy provel cheese. Fresh salads, baked pastas and appetizers available. Offering frozen yogurt, custard, smoothies, floats, frozen daiquiris, mudslides and our signature drink Pineapple Charlie. Recent winner of Food Network's Cupcake Wars now a St. Louis and Missouri tradition for gourmet eats and treats. "Out-of-this-world" cupcakes, delicious hand-made lunch fare and Sunday brunch buffet. Recent remodel offers a window into the decorators' studio. World's greatest gourmet sandwiches and delivery. All the catering needs for your party or event. Carryout and delivery only. Specializing in residential, hotel and corporate delivery. Group rates available for downtown conventions. Located down the street from the Ritz-Carlton, the Crescent serves traditional espresso drinks, pour-overs, and whole-fruit smoothies. Serving breakfast to dinner, pastries made in-house every morning. Kaldi's first location, DeMun is a great place to get a traditional espresso drink or expertly made pour-over. Serving breakfast through dinner and everything is vegetarian. Pastries are made in-house every morning. Traditional espresso drinks, pour-overs and whole-fruit smoothies. Serving breakfast to dinner. Pastries made in-house every morning. Across the street from St. Louis's Forest Park, Kayak's serves traditional espresso drinks, pour-overs and whole-fruit smoothies. Serving breakfast to dinner and pastries made in-house every morning. Located on the 40th fl. of the Metropolitan Square Building, Kemoll's Restaurant has the highest vantage point of the Gateway Arch and the city. Five-star Italian gourmet. For real taste, real Thai, visit the King & I. Take a trip to the Feast Coast with The Kitchen Buffet and Bistro: Lumiere Place's answer to the definitive casino buffet. American food with a Cajun twist. A family owned restaurant serving St. Louis Style Creole cooking where there is something for everyone. American food with a Cajun twist. A family owned restaurant serving St. Louis Style Creole cooking where there is something for everyone. Opening soon. Coffee bar and roastery. Fresh-roasted Fair Trade and organic coffee by the pound. Full-service coffee bar with traditional drinks, as well as seasonal specials. Serving fresh fish, succulent steaks and decadent desserts in an unmatched atmosphere, including outdoor dining. Family owned and operated Mexican restaurant and bar. Established in 1997. Great drinks and handed-down recipes. Built in 1862, beautifully furnished with period antiques. The mansion is not only "historic," but "haunted" as well. Lunch and dinner available on premises. Also murder mystery theater. Eat like King Louis in a contemporary home-style cafe atmosphere for breakfast, lunch and dinner. Enjoy cafe classics sure to satisfy your craving for comfort food. The proprietor may be of royal descent, but digging in with fingers is always acceptable. Llywelyn's Pub is the perfect destination for eating & drinking. 30-plus beers on draft pair perfectly with Celtic fare and fresh daily specials. With our newest addition to the Llywelyn's Pub family, Wildwood offers their guests a warm and inviting atmosphere with Celtic cuisine and over 47 beers on tap. Enjoy our outdoor dining equipped with a full bar outside, live music, game room and private banquet rooms for all your special events. Celtic for a good time. Enjoy two Happy Hours Mon.-Fri., 3-6 p.m. and Mon.-Thur., 10 p.m.-close. Live music every Fri. and Sat. night. Three HDTVs to catch all the games. Book your event with us. More than 120 premium loose-leaf teas, pastries, soups, quiches, plus teaware and gifts. Full-service British afternoon tea by reservation. When it comes to Italian dining, Maggiano's is ideal for group lunches, festive gatherings or a romantic dinner for two. Located across from the Saint Louis Galleria and Richmond Heights Metrolink stop. Barbeque, steaks, seafood, stuffed baked potatoes, salads and a variety of sandwiches. Kids welcome to dine from the kids' menu on the family friendly main level. Walking distance to Scottrade Center and Busch Stadium. New York-style pizza plus pasta, subs, appetizers and entrees. Delivery available downtown. Open daily til 3 a.m. Large groups and children welcome. Award-winning margaritas and food from Central/South America enjoyed indoors or outdoors on a fishing trawler with music on the weekends. Largest Lunch Buffet and Dinner Ala Carte. Featuring South Indian, North Indian, Indo Chinese and Moghlai Kebabs. Best Hyderabadi Dhum Biryani in town. Delivery available anywhere by Tiger's Takeout. Offering freshly prepared dishes with seasonal produce and locally-sourced items. Signature dishes include McMurphy's Sunrise and McMurphy's Reuben Sandwich. Carry-out or sit-down service available. McMurphy's Cafe serves as an employment training program, helping to prepare St. Patrick Center clients for careers in the food service industry. The training program also includes an expanded catering menu and private meeting room space, available for rent. Our motto: Eat Well, Do Good. Large menu with wide variety of Vietnamese dishes. A fondue restaurant. Great for an evening with that special someone or a group of friends. An experience to long remember. Excellent for a romantic night. Fine wine and great food. Superb coffee, awesome breakfast, served all day; beer and wine. A place to chill out with friends, play games, enjoy local art and music. Serving chef-inspired Mexican food. Patio seating, an amazing tequila selection and craft beer rounds out a wonderful culinary experience. Located on Route 66, Mile 277 Tap & Grill is the place travelers and locals go for the food and stay for the fun. Offering a one-of-kind atmosphere featuring live music, events, motorcycle-themed decor and classic roadhouse fare with a Route 66 twist. Host to the best regional bands. Serving lunch, dinner and late night menus. The perfect destination on historic Route 66. Modern Mexi-Cali street food: tacos, burritos, tortillas and more. Also serving a variety of local and American craft beers and fresh cocktails. Cozy haunt lures locals and travelers alike. Breakfast and lunch all day. A rotating cast of guest coffee roasters insures something interesting at the brewbar. Fresh-casual dining featuring globally inspired pasta dishes and noodle-free options, such as soups and salads for either dine-in or to-go. Turning out award-winning, hand-prepared foods in an invitingly traditional non-corporate setting for more than 50 years. Rustic-chic eatery for classic fried chicken and creative spins on traditional sides, plus a full bar. The kitchen, led by Chef Jesse Mendica, consistently delivers top quality, ingredient-driven American fare; superb beverage program. In the Washington Avenue Loft District, one block west of America's Center® and near St. Louis' big three sporting venues. With 37 HDTVs and a spacious outdoor patio, The O/U is the place to be before, during and after the big game. American contemporary menu. L, D. Daily. An exhilarating game-day atmosphere offering 50-plus plasma TVs, great food and a large beer selection. A jazzy joint with "oldies but goodies," as well as R&B and jazz. DJ on Fri.-Sat. Located in the new East Building of the Saint Louis Art Museum. Offering full service dining in an elegant setting. Named after its sweeping views of Forest Park through floor-to-ceiling windows overlooking Art Hill. Open during Museum hours, including Friday evenings. Menus change seasonally. All Bon Appetit food is cooked from scratch, including sauces, stocks and soups. Offering pizza, chicken strips, BBQ and buffalo wings, cheesesticks, regular and garlic parmesan breadsticks, sweet treats and Pepsi beverages. Delivery, dine in or carryout. Delicious, juicy Memphis-style BBQ daily using only the best ingredients. Come early, come often. The premier St. Louis coffee house, serving 76 flavors of St. Louis' official dessert Gooey Butter Cake -- featured on the Food Network -- along with fresh baked goods and pastries. Daily. A family restaurant serving more than 25 different pastas, plus steak, chicken and seafood entrees. Daily. Complete take-out available. A family restaurant serving more than 25 different pastas plus steak, chicken and seafood entrees. Open daily. Complete take-out available. A family restaurant serving more than 25 different pastas plus steaks, chicken and seafood entrees. Open daily. Complete take-out available. L, D. Daily. A lobster and crab shack inspired by the Acadian coastal cuisines of the Northeast and Louisiana. Menu includes lobster rolls, seafood boils, po'boys and more. Get roasted and perk up at Peet's Coffee and Tea. This eclectic west coast coffee shop offers coffee and tea blends to perfection. Award-winning deep dish and thin crust pizza with 24 American beers on draft. Gluten-free, vegetarian and vegan options available. Green Dining Alliance Certified. A late-night pastry shop that embraces the time-honored traditions in Italian baking while celebrating the Italian heritage so important to St. Louis and the Piccione family. Small batch bakery specializing in handmade pies with fresh fruit. The original bowling and martini lounge. Displays of classic bowling and pin-up memorabilia. House-made pizzas and more. Plan your party now. Open daily until 3 a.m.
Fresh oven-baked sub sandwiches. We also offer wraps, soups and salads. All of our subs come on our made-from-scratch whole wheat bread. Vegetarians and meat eaters welcome. Catering also available. The world's first ever fantasy sports bar. Great food (baked wings, pizza and cheesesteak are specialties) and great service. Electrifying atmosphere. Come up and get your post on. A Green Dining Alliance-certified restaurant. Modern steakhouse that redefines conventional notions of American cuisine, specializing in steaks and fresh seafood selections that engage the senses. Fresh seasonal ingredients prepared in a unique and creative atmosphere. Pizzas, salads, soups, calzones, sandwiches, 50 beers and wine. Vegetarian, gluten-free and vegan options available. Italian restaurant focused on fresh dishes with an emphasis on seasonality featuring artisan pizzas, pastas, entree favorites and an extensive selection of wines. Daily B, L, D.
A true blend of the old and new. Dark wood beams and stained glass windows lives alongside contemporary accents and sleek lighting. "Home of the frozen fishbowl" The Hill's oldest restaurant, still run by the original family. Voted Best Toasted Ravioli, Pizza, and Italian. Large menu. Offering 45 wines by the glass and pairs with our tasting plates. Two private rooms for events. Offering 45 wines by the glass and pairs with our tasting plates. Private room and retail shop. Fun, energetic and delicious daytime restaurant offering sweet and savory crepes, award-winning breakfast food, coffee and bloody marys. Sidewalk dining and private parties available. European-style urban cafe specializing in crepes, sandwiches and brunch items, along with a unique selection of coffee, craft beer and Bloody Mary's. USDA prime steaks, fresh seafood and New Orleans-inspired specialties served sizzling on our signature 500-degree plates. Chic upscale dining. Private banquet rooms. Texas-style barbecue washed down with more than 200 craft beers and bourbons. Everything is made in-house from the fries to the pies. Handcrafted cocktails paired with succulent tapas dishes made for sharing in a warm, unique space make for a truly inviting urban sanctuary. Best Korean/Japanese restaurant located in the midtown area across the street from Pappy's BBQ. Affordable prices on sushi and other cuisines. Wide variety of food selections including: appetizers, lunch boxes, dinner boxes, salads, soups and desserts. Weekly lunch and dinner specials, with a Karaoke happy hour from 4 p.m.- close. Fourteen specialty calzones made with fresh and unique ingredients; six delicious salads and dessert calzones. Wide variety of beers (54) and a nice wine selection. Delivery available. America Bistro serving classic and contemporary dishes. Fresh, seasonal ingredients highlighted on an evolving menu. Extensive wine cellar, craft beers and cocktails. Front patio and hidden courtyard for outdoor dining. Brewery restaurant featuring handcrafted Schlafly beers brewed onsite. Traditional American and European dishes. A Green Dining Alliance-certified restaurant. Free parking. Open daily. Traditional family style Korean BBQ restaurant that highlights fresh cut meats with built-in grills at each table. A unique and fun way to dine. Starting as a food truck in 2011, now a storefront specializing in Korean/Mexican cuisine. Ice cream shop and ice cream catering for 50-1,500. A brand new concept for Saint Louis, taking Laclede's Landing back to its heritage like the French Quarter of our sister city. High-end comfort food and an extensive craft beer selection paired with exciting evening burlesque performances creates an unforgettable experience. Basement speakeasy and outdoor patio coming soon. Locally-sourced items for the menu takes inspiration from across the U.S., but using our own smoking techniques. Serving a variety of dishes. Take-out-only test kitchen from Baileys' Restaurants, where we experiment with new dishes. Menu shifts daily. Farm-to-fork, fast. Located in a century-old storefront in St. Louis's historic Benton Park neighborhood. Run by Chef/Owner Kevin Nashan along with wife Mina and brother Chris, they are proud the restaurant is a neighborhood staple, as well as a special destination for diners from all over the world. The New American cuisine is inspired by a melting pot of influences including Kevin's Spanish heritage, the New Mexican flavors of his childhood in Santa Fe, his love for Midwest and Southern ingredients, and his classic French training. The casually elegant dining room is highlighted by exposed brick walls, rich hardwood floors, and an antique bar where guests can enjoy cocktails, wine, and the restaurant's complete dining experience. Serving whiskey and fare in midtown, specializing in cocktails and satisfying vegetarian cuisine, made from scratch with local ingredients. Inspiring people to live a health and active lifestyle. Smoothies are custom blended with real fruit, natural juices and our revolutionary enhancers. Offering nutritional-fruit and function-based, fresh blended smoothies. Also available healthy snacks, vitamin supplements, herbs and sports nutrition products. Distillery brewpub is the first in Missouri. Restaurant and outdoor dining located in historic Lafayette Square, just south of downtown. Fresh upscale pub food, craft beer and spirits. Historic Lafayette Square restaurant with seasonal menu and classic American cuisine. Picture-perfect renovation of a Victorian factory building. 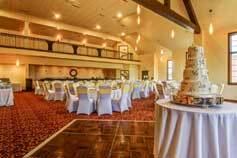 Unique venue for 25-170 for special events. Original classics, new creations; late night strangers. Open every night. Stay strange. Largest selection of vodka in the world. Offering sushi and gourmet burgers late every night. This unique concept has something for everyone. Award-winning artisan barbecue with four St. Louis locations. Offering daily creative sides, home-made pies, plus local beer and soda. Dine-in, carry out and delivery. Catering available. Come see what makes us different and better than the rest. All-you-can-eat; fresh made-to-order sushi is a prosaic affair. All-you-can-eat lunch, $12.99; dinner, $19.99. A place to get a wonderful feast for a great price. Serving up the great Southern food that Robbie's mother taught her to make when she was just a girl. Serving made-from-scratch Southern classics like fried chicken, catfish, Mac-n-Cheese, and peach cobbler so good that Sweetie Pie's has become a St. Louis landmark and a U.S., must-visit destination for anyone looking for delicious comfort food and great service. A fast-casual concept serving authentic Gyro, Shawarma, fresh baked pita, salads and vegetarian options. Taze also offers beer, wine and a happy hour menu, plus a full catering menu and delivery available. Mouthwatering, freshly prepared, locally-sourced breakfasts, lunches and homemade baked goods. A favorite of cyclists and walkers; steps from Grant's Trail. Lovely porch, gardens. Serving local, fresh hand-rolled burgers and hand-cut French fries with a variety of handmade dipping sauces. Our motto: slow food fast. Gin bar inside Cafe Natasha more than 100 gins, homemade tonics. A destination to experience the world of craft cocktails. Stamp the passport of your palate at Asia. Featuring delicious Asian-fusion cuisine and authentic Chinese, Japanese, Thai and Vietnamese selections, including fresh hand-rolled Sushi. Offering upscale pub food with a Mediterranean twist. Bar features more than 21 beers on tap, 40 micro beers by the bottle and a one-of-a-kind beer cellar list. House-made infused liquors featured on the diverse drink menu and an extensive wine and spirits list. Free live music. A gathering place to enjoy humor, hospitality, fine Irish food and drink. When you want to meet friends for good drink, good food and good conversation, Tigin Irish Pub is your place. Open early for European sports. Call for details. Always-fresh premium coffee, baked goods including trademark donuts and Timbits: hand crafted sandwiches, soups and much more. Celebrating human endeavors in a creative space with delectable cuisine. See the display of motorcycle memorabilia celebrating the artistry and sportsmanship behind these achievements. Popular sports bar. Amazing food an affordable drinks. Free shuttle to all home games. Every day pouring the perfect mixture of fresh ideas and ingredients into each batch of handmade from scratch doughnuts and pastries. The hot spot for sushi. With more than 50 rolls and many entree options, there's something for everyone to enjoy. Excelling in specialty and vintage cocktails, Water Street also offers an intriguing menu with dishes like pate with pistachios and trout with beet salad. Local and organic-minded. Neighborhood bar and grill with a classic and contemporary American menu featuring a huge beer list and handcrafted signature cocktails. Fast-casual restaurant serving fresh Gyros, bowls and salads.